Be summer savvy and styling with a fresh take on men’s popover shirts. 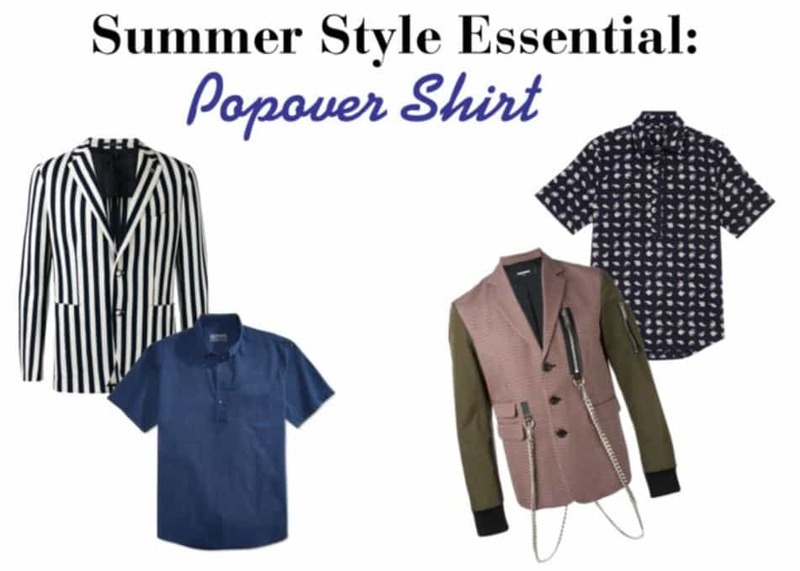 Worn under your summer suit, with a stylish print blazer and denim, or summer’s lightweight print shorts and slacks, this summer style essential goes from classic and conservative to edgy flare. 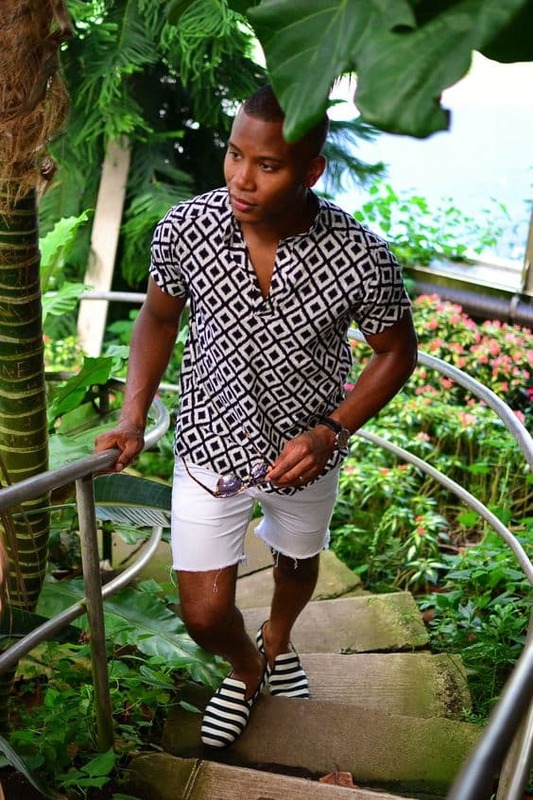 Stylize your popover shirt in a fresh way, pairing a print shirt with solid shorts or pants. Add bold colored loafers or a print espadrille, such as stripes with geometric prints, for a modern fashion-forward look. Popover shirts look trendy and modern paired with a fashion-forward blazer or sport coat. Design details, such as zippers, epaulets, bold buttons, or a strong print captures the eye. Keep your look summer office cool pairing a linen or cloth popover shirt with a sport coat and dress trousers. Choose light weight fabric popovers in solid colors, stripes, or plaid with a linen or seer sucker blazer. Gray, white, tan or khaki dress slacks take your look from office savvy to evening trendy. Wear suede loafers or drivers for modern flair. Awesome post! Is there any particular pattern or color that you think looks best for the summer? Color and print mixing is a big trend for the summer. Orange and sapphire blue, or red and pink are hot combinations to wear. Intermix a bolder print pattern with a smaller print, such as large paisley, pineapple or graphic print with thin stripes or plaid for an on-trend style. The blue and yellow combination made a statement over the summer. Red and blue also was a stylish color combination.